Funeral for Perth Amboy Police Officer Thomas Raji. Funeral at the Alpine Cemetery in Perth Amboy where Officer Raji will be laid to rest. 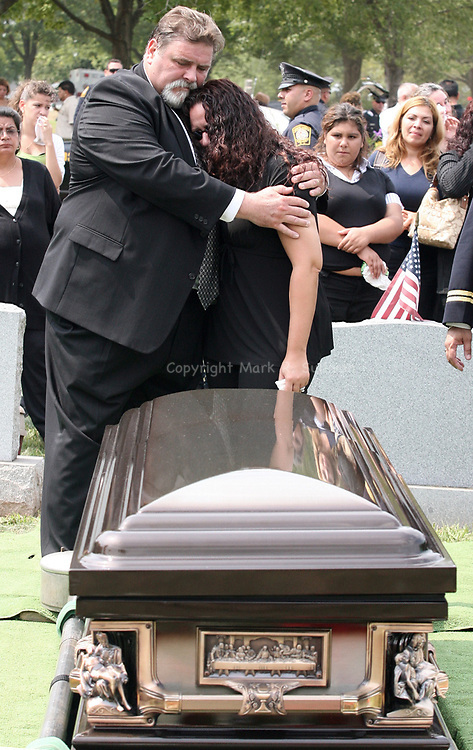 Here Marisol Raji, wife of officer Raji (right) is consoled in front of the casket of her husband.